The left has a new top target for 2020: Maine Sen. Susan Collins. While the election is more than two years away, Democratic donors, activists and operatives are already signaling they’ll be focused on ousting the woman whose pledge to support Brett Kavanaugh likely sealed his confirmation to the Supreme Court. Recruiting efforts have already begun, and donors large and small are promising financial support for Collins’ opponent. Major donors have already pledged $1 million to an effort to register and educate voters in Maine ahead of the contest, organizers told HuffPost. They said they hope they can eventually raise as much as $4 million. But the big donors funding the effort think Collins’ reputation as a bipartisan crowd-pleaser is overstated after her votes for Kavanaugh, Justice Neil Gorsuch and the GOP’s tax law. There is already one announced challenger for Collins: Cat London, a physician who announced her bid in July. But Democratic operatives in Maine named a slew of other potential challengers: Rep. Chellie Pingree, who lost a 2002 Senate race against Collins, and her daughter, Hannah Pingree, a former speaker of the state House; Adam Cote, a lawyer and Iraq War veteran who finished second in this year’s Democratic gubernatorial primary; and Jared Golden, the Democratic nominee in Maine’s rural 2nd District and a veteran of the Iraq and Afghanistan wars who was once an aide to Collins. “You better believe we are recruiting and the bench is strong,” EMILY’s List spokeswoman Julie McClain Downey wrote in an email. And former United Nations Ambassador Susan Rice indicated on Twitter she would consider running. Rice’s mother is from Maine, and she spent summers there as a child. National Democratic operatives also suggested former Planned Parenthood president Cecile Richards, who owns a home in Maine, could run. Doesnt @CecileRichards have a home in Maine? The crowdfunding project, the average donation of which was $28.40, was organized by the Maine People’s Alliance, Mainers for Accountable Leadership and progressive activist Ady Barkan. The funds will sit in an escrow account until her opponent emerges, Barkan told HuffPost. 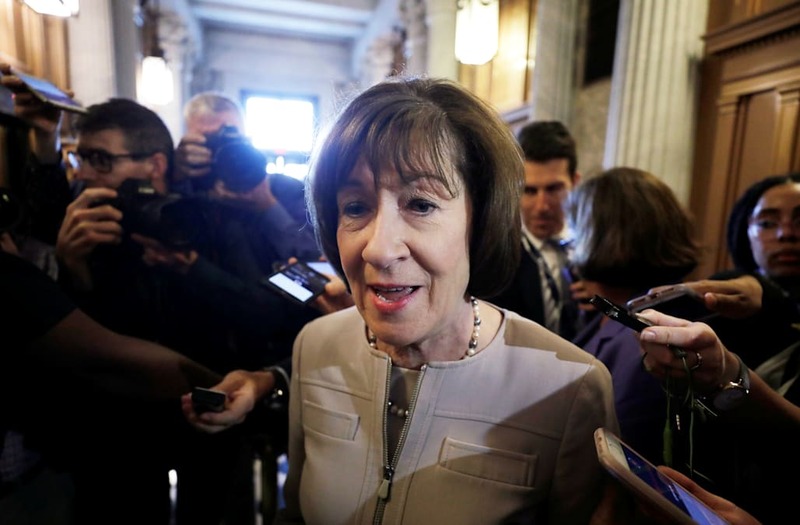 Collins has long received a measure of bipartisan support, if not outright endorsements, from progressive groups because she’s been willing to occasionally break with her party. But there’s no doubt that her vote for Kavanaugh will do serious, and perhaps permanent, damage to her reputation.